What is innovative about charter schools? What do they do that is so unique it has provided traditional public schools with new methods of working with students? I often hear politicians and charter advocates praising charter schools for what they can give public schools in the way of new ideas. I am wondering what innovations they are talking about. Before I sound off more though, I would like to take this opportunity to thank Valerie Strauss of the Washington Post Answer Sheet for highlighting my blog post telling Bill and Melinda Gates what is hard for teachers. Also, thank you to Diane Ravitch who echoed Valerie’s post with interesting comments of her own. Thanks to all those who responded with their thoughts and ideas. And another thank you to Valerie for also showcasing teacher Linda Chantal Sullivan’s post on my blog about what troubles teachers working with ELL students. This issue is especially important today and often overlooked. I would have responded sooner to all this recognition, but I was visiting New York City and left my laptop at home. It was a nice break, and it was hard to leave behind beautiful Central Park in autumn. Charters were originally supposed to be for teachers to run—to let them explore new ideas. And they started out mostly to help students who weren’t doing well in traditional public schools. Now educational management operators, most with no education background, often for a profit, using tax dollars, run these schools. What innovations do you see? I really am asking that question hoping to find something new and unique. Here is a list from the U.S. Department of Education talking about successful charter schools, but I see nothing in that list that good traditional public schools have not done in the past, or could not do in the future. Also, looking through these examples, I see nothing that is truly groundbreaking. Charter schools, as the story goes, are supposed to be laboratories of innovation that show traditional public schools how to do better. This innovation is intended to drive competition so that, I guess, teachers in Y school will wrack their brains trying to figure out inventions that will revolutionize what they do in the classroom. This will cause teachers in X school, in the next school zone, to one-up those teachers at Y school and come up with something better. Of course, most real teachers recoil at the idea of competing with each other for resources and only wish everyone would work together to help all students! Most teachers care about students in general. They want to see all schools succeed, not just their own. They don’t think in terms of doing better than the school down the street. They focus on their students. Parents duped into thinking they are getting something special with “choice” are supposed to keep track of all the schools and monitor the innovations, like we pick toothpaste at the grocery store—some want tarter remover and fluoride—others want the whitening and the stuff for sensitive teeth—others want it ALL! With schools, it is implied, somehow this will fall into place and parents will all get the right toothpaste. In 2013-14 it was estimated that there were 6,400 charter schools. Charter schools have been around since 1991. In twenty-four years you would think these schools would be providing us with the advancements that would make America proud. Yet, still, we hear nothing but tired criticism of America’s students. 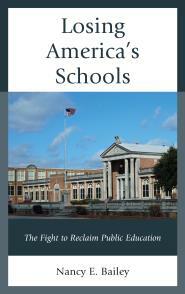 Especially troubling, is that there is no moratorium on the creation of new charter schools. No one is saying STOP! Let’s look at whether we are really getting our money’s worth with these schools. Instead, funding is siphoned from traditional public schools with no proof charter schools are better, more innovative. Today, Diane Ravitch is reporting that the Boston Mayor Marty Walsh plans to convert 36 public schools to privately managed charter schools. Public schools have been closed around the country with the promise of innovation. 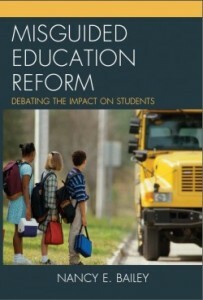 Yet, what new ideas do we see out of charter schools that we, as Americans, would want to emulate in all schools? They have longer school days. Charter schools often have teachers who are at the mercy of the charter operator. Charter school teachers don’t always have real teaching degrees or credentials. Charter schools often use strict discipline. Parents must sign contracts to do what the school administrators or teachers tell them they must do. Charter schools counsel out special needs students. Charter schools counsel out ELL students. Charter schools kick out students who act out or whose parents don’t follow the contract. Charter operators usually make more money than a school principal. Teachers usually make less money than when they worked in traditional public schools. Teachers often get fewer benefits than when they worked in traditional public schools. Sometimes these schools shut down, but not always. Charter schools are usually segregated schools. Aside from the longer school days (nothing innovative), none of this is anything relevant to traditional public schools which serve all students. Also, most parents want a teacher with preparation (degrees and credentials) working with their child. Some charter schools brag about improving student behavior. But when you send the students who act out the worst, back to public schools, that is hardly innovative. The other thing some charter schools do is capitalize on what has been unfunded in public schools. You might see, for example, The Charter Arts Academy. Parents who have a child who thrives at drawing, whose traditional public school shut down its arts program, will, of course, like a charter school that advertises what their child lost due to the defunding of their traditional public school. We know this is obviously unfair. Charter schools might also focus on a particular career, like a Charter Business Academy. Remember, public schools used to have career-technical or vocational school too until the “everyone must attend college” song began to be sung. And should high schools be already steering young people into particular careers? This raises concerns about student control and is controversial. Despite all this, I have yet to see anything unique or state-of-the-art out of charter schools for public schools to emulate. Some will say online or virtual charter schools are remarkable. This is another claim that seems lackluster to me. Schools have been employing the use of technology for years. I was using the PLATO lab in the 90s with my students, and we had interesting software for students with review work in the 80s. One can argue that online learning is better today, but it is alarming to think of young children perched in front of a computer for all of their schooling. So tell me anything to show charter schools are innovative, and I will show you that traditional public schools have done it before (before they lost resources), or that it is something that can’t logistically be done because public schools teach all students–even the most challenging. Mostly, charter schools impose heavy discipline with students who don’t really have discipline problems. That is not innovative…it’s just plain mean. But if you know of an outstanding charter school tell us about it. I love a debate. I also love hearing about special teaching practices that work. I find the stats for the % of SpEd students interesting. In my experience, most of the time that means Speech/Language therapy for young children. Also, children ID’d as OHI-ADHD, or children who received full services in a public school before transferring to a charter school – there told they had to take their child off IEP services completely, or go on a monthly monitoring program for a couple of months. In other words, no services. If they cannot perform, out they go. Nancy, nothing innovative in the charter schools I had contact with in the ATL area. Mostly chaos, uncertified employees, rapid turnover, chaos, limited funds for teachers, chaos – parading around as INNOVATION, constant reminders to parents, children and teachers…this is a school of choice! Translation: we can take you out! Shut up! Also, much time is spent on school tours, PR, and fundraising to pay for HIGHLY PAID so-called consultants. Cash-Cow-Charters! Many stay under the radar, because their PR & Cash-Cow is working beautifully. They control this very well. Not about sharing innovations! Not about reaching back to the public schools to work together. It’s ALL ABOUT BILLIONS! I agree. Thank you! The deception runs rampant…like swindling parents of kids with disabilities out of more individualized services in their public schools too. Watch for the self-contained special ed. charters with untrained teachers….